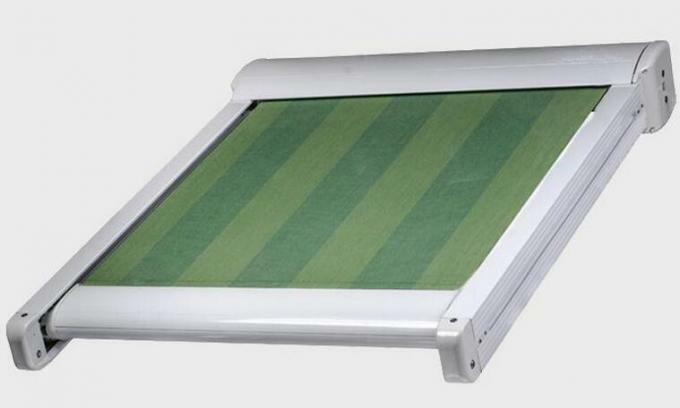 1.Smooth design, beautiful shape, makes our conservatory awning perfect combined with sunshine. 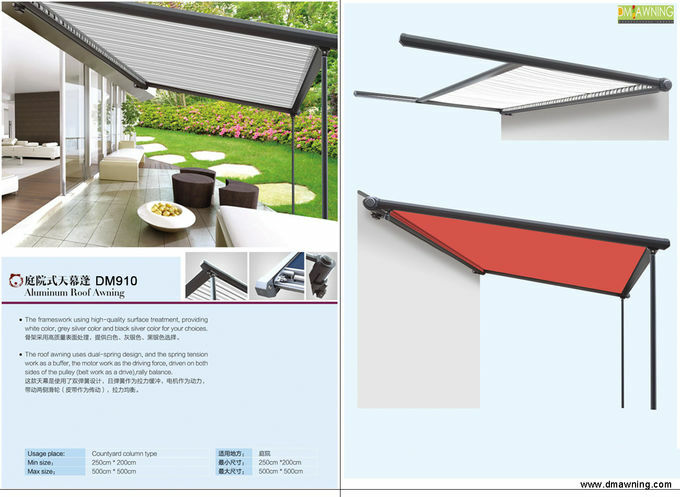 2.Fully enclosed aluminum casing ensures good protection for fabric when the awning back, and that only use 145mm. 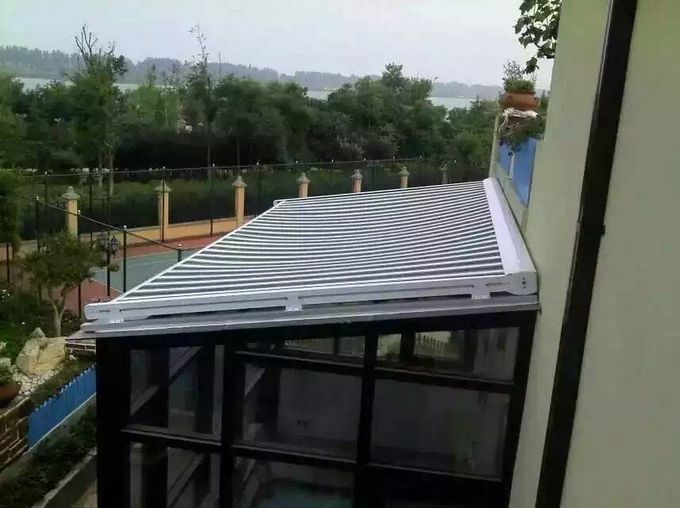 3.In order to keep tension of the fabric, conservatory awning is designed Pretension structure, and gets smooth slide way for the lowest voice. 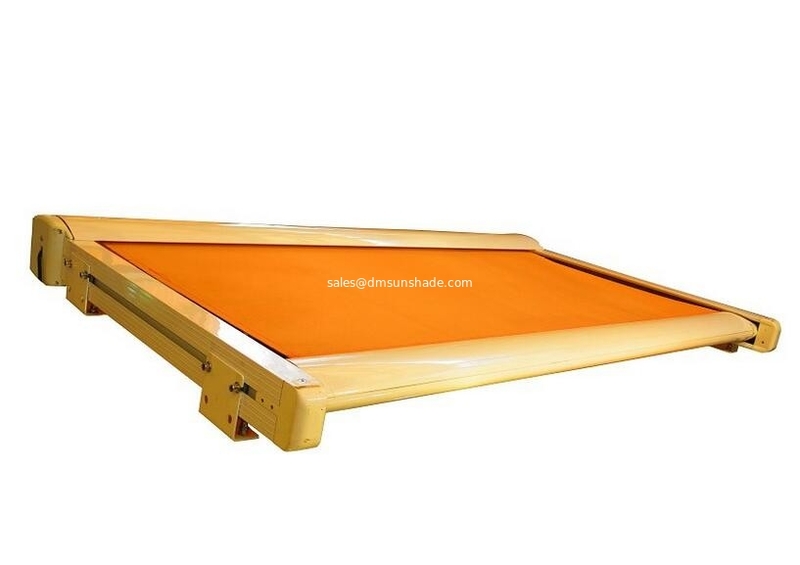 4.Aluminum alloy frame and lightweight arm to easy for transport and install. 5.Spanish Fabric order to protect your skin from harmful UV rays by 95%. 6.More than 150 color for choosing, be sure you have a fit mind. 7.Wireless Remote Control Operation, easy to switch on, easy to close. 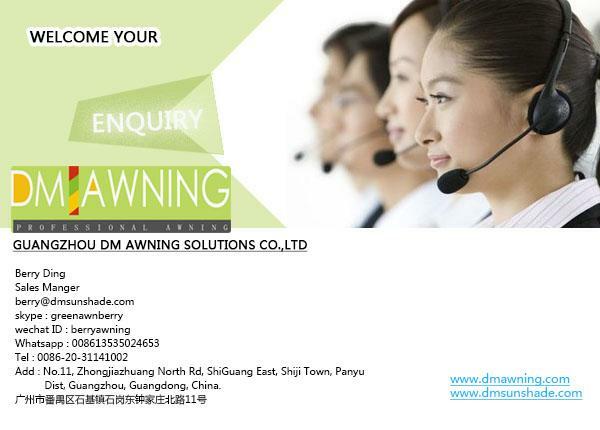 All our awnings can be customized as per customer's special needs!!! -Manual: Gear box with handle crank. *Receiver built-in motor with remote control. *Receiver built-out motor with wall switch control. *Motor with awning wireless wind/sun/rain or wind/sun sensor. Manual by crank handle; Motorized by switch/remote control; Both manual and motorized; Wind sensor control system; New~~Wireless control by mobilephone. 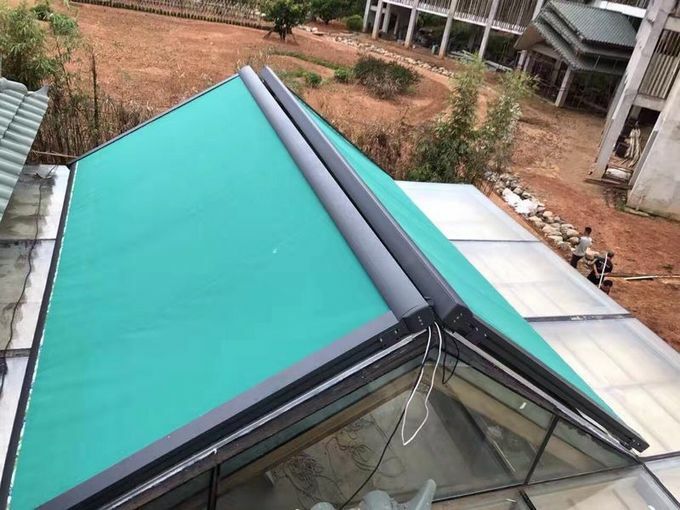 1.Q:What kind of awnings do you manufacturer? A:We have full range of full cassette, half cassette, no cassette retractable awnings, and also window awning&blinds, balcony awnings. Customized items and OEM orders are all welcomed. 2.Q:What's your lead time for awnings? A:Usually in 45days, if in busy season,or using imported acrylic fabrics, 90days may needed. 3.Q:What fabric could you offer? A:We have homemade yarn-dyed polyester,acrylic and also imported 100% solution dyed acrylic.Dozens of solid and stripe colors for your options. 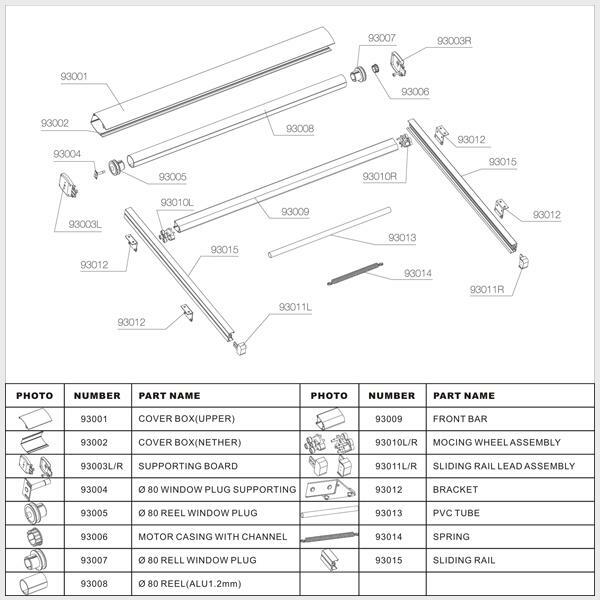 A:Yes, we not only offer finished products, but also components, disassembled or assembled as per your requirements. A:Our max. projection right now is 3.6m. If you have more questions, please find a specialist for you, thank you for your visiting.